As we age, our bodies change. Thus, the needs of our bodies change as well. Vitamin B12 is important at all stages of life, though recent research shows that vitamin B12 and the elderly have a particularly important relationship. As people advance in age, the chance of suffering from a vitamin B12 deficiency and the related side effects increases. Vitamin B12, commonly referred to as cobalamin, is vital for the functioning of the nervous and circulatory systems. Vitamin B12, like other B vitamins, works to break down glucose into fuel that can be used by the brain. B12 is also a key element of myelin, the protective coating around brain cells. The presence of the vitamin assists the brain with making connections that allow for learning and memory creation. In the circulatory system, vitamin B12 creates new red blood cells and clears out homocysteine, an amino acid that can cause coronary disease and stroke. For the above reasons, vitamin B12 is essential for maintaining proper health and for basic functioning of the body’s systems. Without enough vitamin B12, cognitive functioning begins to decline. Deficiency symptoms range from irritability, trouble focusing, and lethargy to pernicious anemia, sleep disorders, and outright dementia. Vitamin B12 and the elderly is especially important because as we age, our ability to absorb nutrients from food declines. This condition is called atrophic gastritis and is one of the most common causes for vitamin B12 deficiency among the elderly. As a result, over 20 percent of people over age 60 are clinically deficient in vitamin B12. Several studies have been done to link vitamin B12 and cognitive ability in the elderly. By analyzing cognitive test scores alongside vitamin B12 levels in the elderly, researchers have found that people with lower levels of B12 generally get subpar scores on tests in comparison with their B12-sufficient peers. Lower levels of vitamin B12 are also linked to lower overall brain volume and less white matter in the brain. Additionally, researchers found that despite the fact that some elderly people were technically above the cutoff level for B12 deficiency, many still displayed significant cognitive decline. This trend has led the study organizers to question if the cutoff level for vitamin B12 deficiency should be rethought. Vitamin B12 is abundant in animal-derived food sources such as fish, poultry, dairy, and eggs. But for elderly people suffering from nutrient absorption difficulties, even consuming large amounts of vitamin B12-rich foods may not prevent deficiency. Oral supplements, a common way to add significant amounts of vitamin B12 to a diet, will encounter the same absorption problem. One remedy for a deficiency of vitamin B12 for the elderly is a regular injection of this important nutrient. The vitamin B12 injection dose depends on factors such as gender and age. Older adults are usually recommended to take higher doses to prevent issues such as dementia that can be caused by a deficiency. 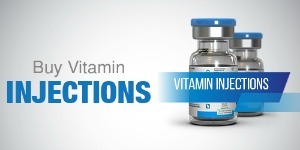 You can buy vitamin B12 shots online; check the B12 products we have available here. Good health is precious, a fact that only becomes more obvious as you age. Vitamin B12 is important at any age, but its role becomes even more pronounced in the elderly. Ensuring that you get sufficient nutrients throughout life, especially in old age, is vital for maintaining sound mind and body.